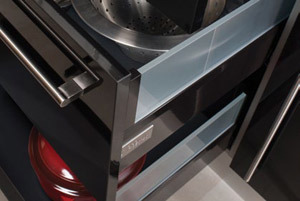 A premium effect with smart stainless steel drawers. All Crown Imperial kitchens feature soft close drawers and doors. Choose Silk White for a stunning look. All Crown Imperial kitchens feature soft close drawers and doors. Black drawers for maximum impact. 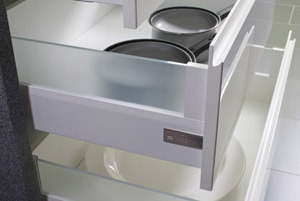 All Crown Imperial kitchens feature soft close drawers and doors. 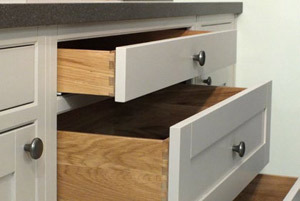 Oak dovetail drawers that evoke authenticity. A drawer inside a drawer! 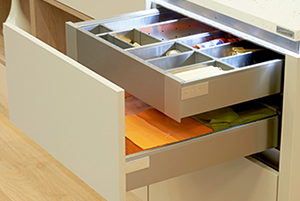 Optimise your storage space with internal drawers. 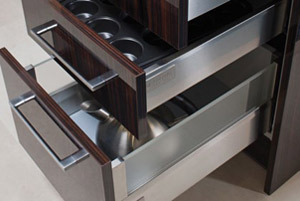 Great for the minimalist look, maintain the sleek lines of your kitchen with fewer drawer fronts. 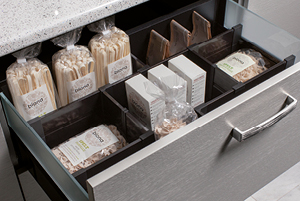 Keep your drawers organised with our drawer divider system.